Better Than Never: every day is earth day. seriously. 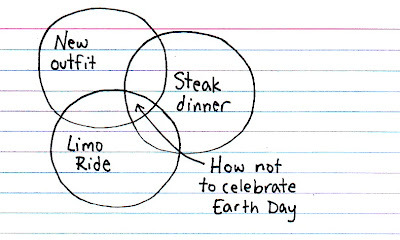 every day is earth day. seriously. Today is the 40th anniversary of Earth Day, a day which is supposed to remind us that the Earth is here, we live on it, and we should appreciate and protect it. 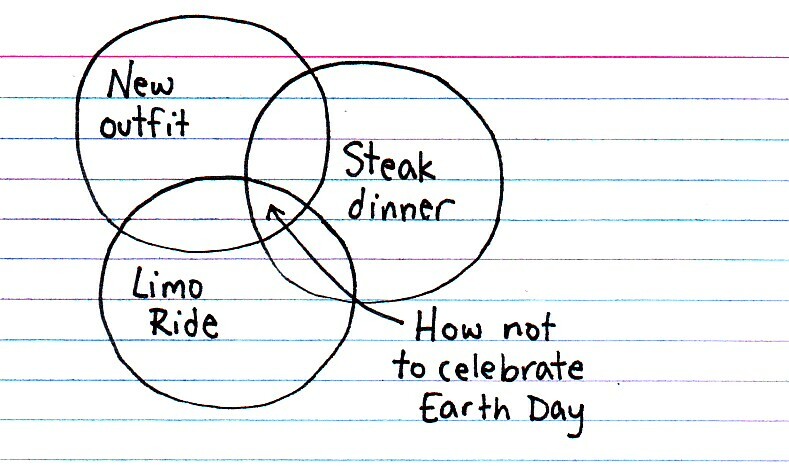 That's all fine and dandy, except for the fact that we need a special day to think about personal responsibility as it relates to our environment in the first place. It's sort of like Black History Month and Women's History Month - black people and women exist year round, so shouldn't we pay attention to their achievements every day? You would think. Alas, the world is not perfect (though I do believe it's working on it) and I suppose these steps are in the right direction. Therefore, in honor of the Earth (and not this particular day) here are some easy ways to live more sustainability for the rest of your life. Because, seriously - the rest of your life is what it's going to take. Eat Less Meat. I'm saying you have to be a vegan (though veganism can be very tasty!) but cutting back on your meat consumption is an easy way to have an immediate impact on your planet. According to Environmental Defense, if every American skipped one meal of chicken per week and substituted vegetarian foods instead, the carbon dioxide savings would be the same as taking more than a half-million cars off U.S. roads. That's a lot of cars! To get started, take part in Meatless Mondays, or read this post about 7 Steps to Eating Less Meat Now. Ride Your Bicycle. Not only is it good for the environment, it's good for your ba-donk-a-donk, or whatever the kids are calling it these days. Pay Attention to Packaging. Imagine you are at the grocery store. You can purchase either a bunch of carrots held together by one blue rubberband, or the same amount of carrots in a plastic bag. Which do you choose? The rubberband! Less packaging AND you can use that rubber for just about anything. Also, I have been buying dried beans and soaking them instead of buying canned. It's way cheaper and creates way less waste, and trust me - it is not hard or time consuming AT ALL. Definitely worth it. Be Thrifty. 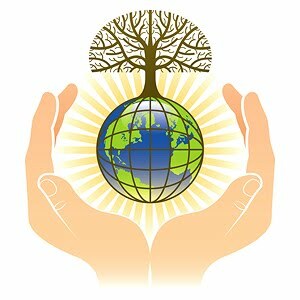 One of the nice things about "going green" is that it is not expensive. In fact, the "green" choice is usually the cheaper one. This might be hard to believe, especially as you're being shilled a million and one "green" products and asked to replace all your appliances, cleaners, and clothing with their "green" counterparts. This is what happens when capitalism gets a hold of a perfectly nice idea and tries to make a buck off of it. To be "green" all you really need to do is use less, buy less, and create less waste. You'll be surprised at how much more you end up with! Those are my top tips for giving the Earth a hand, today and every day. Do you have any to add?